For over 10 years, I’ve consistently kept a journal. I plan to do so for the rest of my life. Journaling helps me vent during the tough times, celebrate during the good times, and see the interesting in the in-between times. You can keep a journal for many purposes: prayer requests, your prayers to God, your feelings, events of your life, dreams, important conversations, thoughts on life, and anything else you can think of. 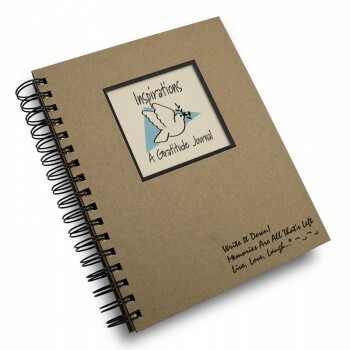 The journal pictured is one I used in the past, and greatly benefited from. Below is a picture of the front page for each day. There is a place for the weather, events of the day, where you are spiritually, what you are grateful for, people you are thinking about, and more. The next page is blank for other musings. I definitely recommend journaling to everybody. You may not consider yourself a writer, but no one else needs to see your journal. It is purely for you. (Of course, you could also write prayers–so maybe you and God.) It’s not something you need to do every day, either, but could simply be a solace in dark times to pour your heart out. 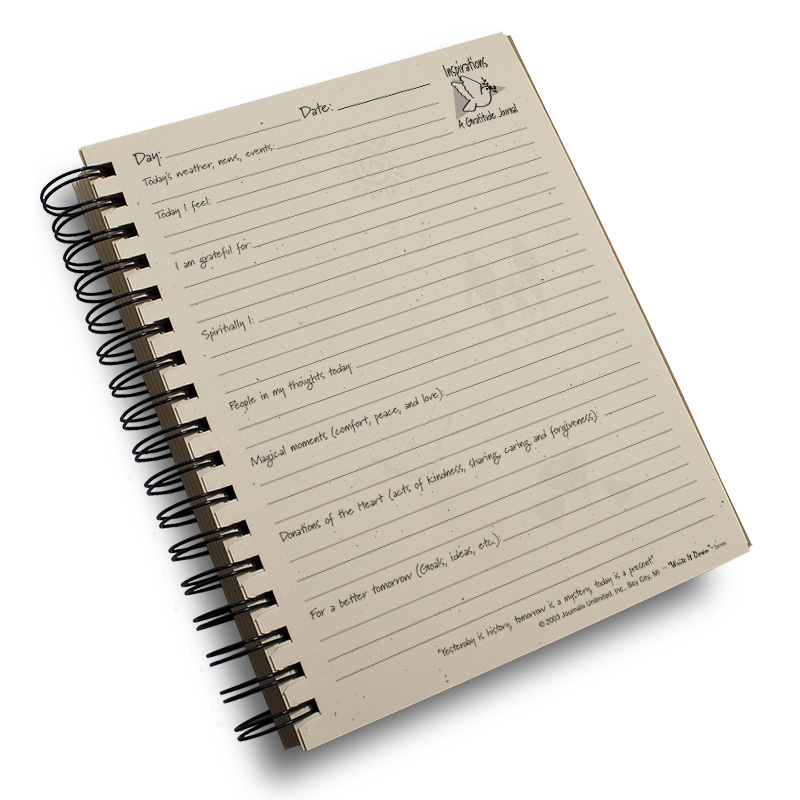 You could also simply write positive happenings and moments that you want to look back on. In my opinion, journaling can be a great avenue for emotional health. What are the benefits of journaling? Here are a few that I’ve found. For each person, they will be different. 1. It is a positive way to process emotions. If you are angry or sad, writing is a healthy way to process your thoughts. For good situations, it is also a great way to celebrate these happenings. When you are in the midst of making decisions, writing down your ponderings each day can help you see patterns and come to a conclusion. 2. It is a way to track your growth as a person. You can look back at old journals and find ways you’ve positively changed. On the other hand, sometimes you will see other changes that may not be so positive, and figure out how to get back to a good spot. You could use your journal as a way to set goals. 3. Journaling is a great way to relax. Spilling your thoughts on paper is a great way to unwind at the end of the day, or to prepare for a new day. It might even be a good “siesta,” a way to take a break mid-day. 4. Your journal is an avenue to see God’s hand. Journaling is a beautiful, tangible way to look back at situations and see how they have evolved. How good God is, and how wonderful and amazing are His ways! Looking back at old journals and the situation now, I can see the change and that God has answered my prayers! What are your thoughts on journaling? What benefits have you seen from journaling, if you are a journaler? Mornings: The Start to a Great Day!